PolyTools is an AutoCAD plugin that provides useful commands to convert, modify and export polylines. Break lines and 2D polylines to his intersections. This command allows to change the initial vertex in a closed polyline (or lightweight polyline). Click the 2D Polyline Start Point icon in the Plug-ins tab of the AutoCAD ribbonbar. At the prompt "Select the 2D polyline to change:", click the closed polyline you want. The program highlights the first point of the selected polyline with a green circle. The program shows the vertices sequence by drawing a green arrow beetween the first two point of the polyline. At the prompt "Would you like to invert the vertices order ?" select Yes or No if you want to invert or keep the original points sequence. This command is like "2D Polyline Start Point" but allows to change the initial vertex in a closed 3D polyline. Click the 3D Polyline Start Point icon in the Plug-ins tab of the AutoCAD ribbonbar. At the prompt "Select the 3D polyline to change:", click the closed polyline you want. At the prompt "New start poin:" click one of the polyline vertices. The original 2D Polyline in AutoCAD while a vast improvement over having to use line segments and arcs was a resource hog. Each vertex and end were separate entities so a Polyline with two vertices was four entities. In AutoCAD R14 was introduced the LWPOLYLINE (lightweight polyline now called simply Poliline) which was a single entity. For drawing which included lots of contours or other complex polylines drawing sizes shrank considerably. Big difference in speed and stability as well. In conclusion both represent the same thing, but the newer Polyline is a major improvement. If you are encountering old "Heavy" polylines you may convert in the new kind of AutoCAD entities. 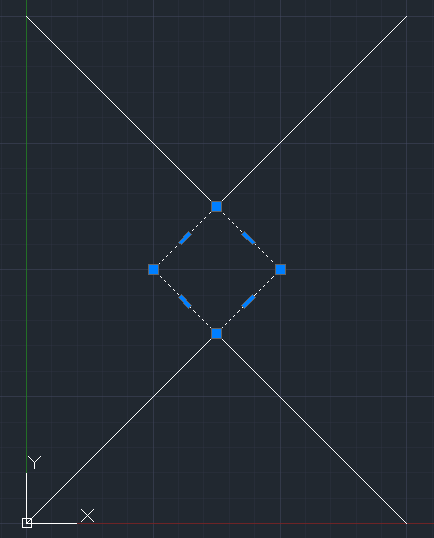 Click the Convert 2D Polyline icon in the Plug-ins tab of the AutoCAD ribbonbar. At the prompt, Select the polyline to convert: click the polyline you want to convert. The program ask to confirm if you want to convert the 2DPolyline to a Polyline (or lightweight polyline) or vice versa depending to the selected entity. If you want to test the result type the command "_list" in the AutoCAD command line and then select the converted polyline. If the displayed name is POLYLINE the polyline is an "old kind" of polyline. If the name is LWPOLYLINE it is a new lightweight polyline. This command converts a 2D Polyline or Polyline (lightweight polyline) in a 3D polyline. Click the Polyline 2D to 3D icon in the Plug-ins tab of the AutoCAD ribbonbar. At the prompt, "Select the polyline to convert:" click the polyline you want to convert. 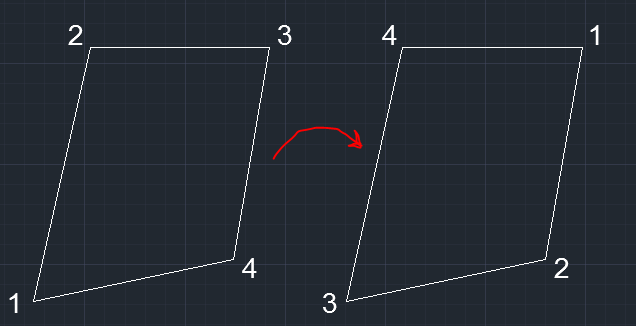 Convert a 3D polyline to a polyline 2D. This command converts a 3D Polyline in a Polyline (lightweight polyline). Click the Polyline 3D to 2D icon in the Plug-ins tab of the AutoCAD ribbonbar. This command breaks lines and polylines (lightweight) on his intersections adding new vertices to the existing polylines and breaking the existing lines in more parts. Click the Auto Break icon in the Plug-ins tab of the AutoCAD ribbonbar. At the prompt, "Select the the entities to break:" click the polylines and lines you want to break. The command exports the lines and the polilines vertices coordinates to an Excel file. Click the Export Lines icon in the Plug-ins tab of the AutoCAD ribbonbar. At the prompt "Select the entities to export:" select the entities you want to export. Select the directory and the Excel file name to create from the Save file dialogand press the Save button. You can download this tool from the Autodesk Exchange App store.